​Although many consider comic books and graphic novels as “just for fun” reading, comic books and graphic novels have complex story lines. Some comic book series have connected story lines. Two examples of a comic book series with connected plots include Detective Comics, known as DC for short and The Marvel Universe. Although, these two popular series follow plot lines and characters through different worlds, the main similarity is that they both have superhuman characters. DC and Marvel comic book studios are rival studios. DC comics started in 1934 and Marvel started in 1939. If you do the math DC started before Marvel. There are some fans who feel that Marvel copied DC. ​Before you chose a series to follow, you should know the main differences between DC and Marvel. The first difference is the way they are written. DC has characters that are for the most part, heroes and are morally correct, like gods trying to fit into our world. Where as Marvel has characters, who are heroes, and some readers feel they can relate to better to them. An example, of this is Batman from DC and Spider-man from Marvel. Some readers see Batman as the worlds greatest detective. He has a no kill rule that makes him the pinnacle of human nature. Some think he is the most driven (motivated) comic book character you can find. Then you have Spider-man from Marvel. Spider-man's main problems are ones that ordinary people face everyday, like the lack of a permanent job and poverty. The next main difference is that Marvel Comics have a more organized plot line. In Marvel comics the stories continue through different story lines. For example, if Iron Man’s suit breaks in one story, it continues to be broken in another, until it is fixed. Whereas in a DC Comic, problems do not crossover from story line to another, each story is stand alone. Want to get into Star Wars, but don’t know how? Here are some tips about how to watch Star Wars. 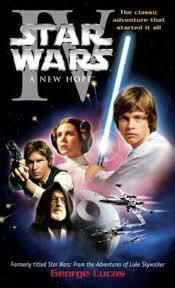 The first set of Star Wars films were made in the 70’s and 80’s, with Episode 4, 5 and 6. For some viewers this might be confusing; so I recommend that you watch them from Episode 4 to Episode 6. These are my top three movie recommendations for your viewing experience. After a blockade runner shoots out of the hanger a imperial star destroyer pursues them and when the storm troopers board the ship they kill the rebels. They take Leia Organa Bail Organa’s daughter . They take her to the death star were she watches here home Alderaan be destroyed. Meanwhile on a moisture farm on Tatooine two droids were jettison from the blockade runner at last second. They landed on Tatooine it was R2-D2 and C3PO human cyborg relations he is fluent in over 6 million forms of communication. They are shot by Jawas and they bring him to Owen Larrses house where he buys R2 and 3PO and they meet Luke Skywalker. During the night R2 runs away looking for old Ben Kenobi they find them both and go Mos Eisley spaceport home of the worst scum and villainy. Were they meet Han Solo and Chewbacca the Wookie. Before this happens, Luke's aunt and uncle are discovered to be dead. So Luke leaves with Han and the rest of the gang to save the princess. When they get out of hyperspace they are pulled into a tractor beam. Once on board the spacecraft, Han and Luke dress up like the storm troopers and they rescue the princess. Luke watches as Ben dies. He takes his father’s light saber which Ben gave him. They escape and Leia believes the Empire let them escape and definitely is tracking them. They go to Yavin 4 were they prepare the rebels final assault on the Empire. It goes poorly, but Luke still shoots a two twin torpedo, I am serious, that's what they call them look it up if you don’t believe me.